MILLER have launched a new front mounted self-propelled market. Unveiled by national distributor, McIntosh Distribution at a recent dealer event in Perth, the new Miller Nitro 7000 series will be available in Australia from 2019. McIntosh Distribution, sales manager, Jonathan Bent said the Nitro 7000 Series offers significant increases in both horsepower and torque through its Iveco power plant, while increasing its fuel efficiency compared to the 6000 series. 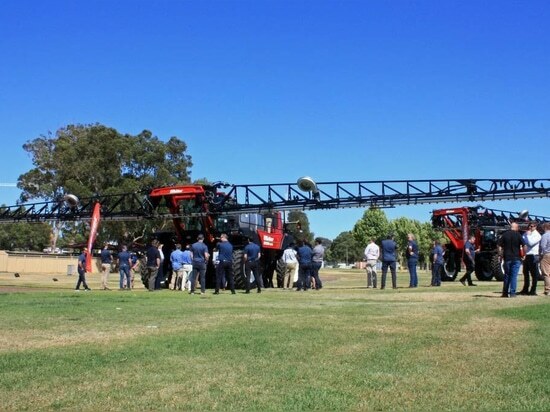 “We are very excited about the release of the 7000 Series and we think growers will appreciate the range of features available on these models,” he said. 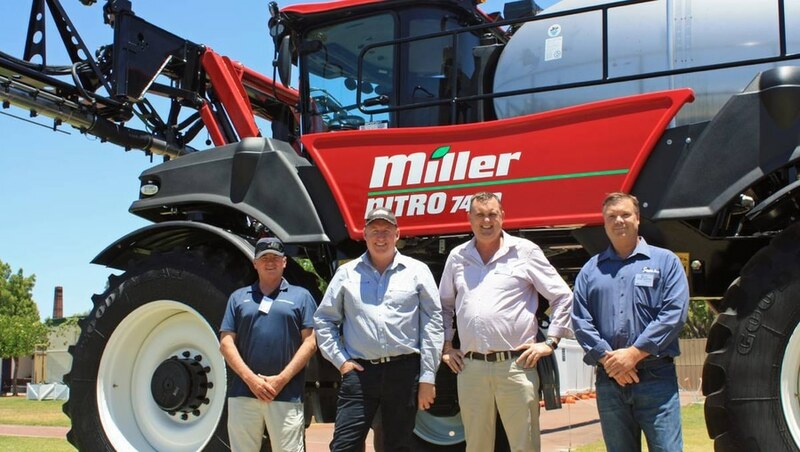 Mr Bent said the current Miller Nitro 6333 will be effectively replaced by the 7380 model, offering peak power of 285 kilowatts (383 horsepower) and 1459 Newton metres of of torque. While the 6365 will be replaced with the 7420 model, at 323kW (434hp) and 629Nm of torque. 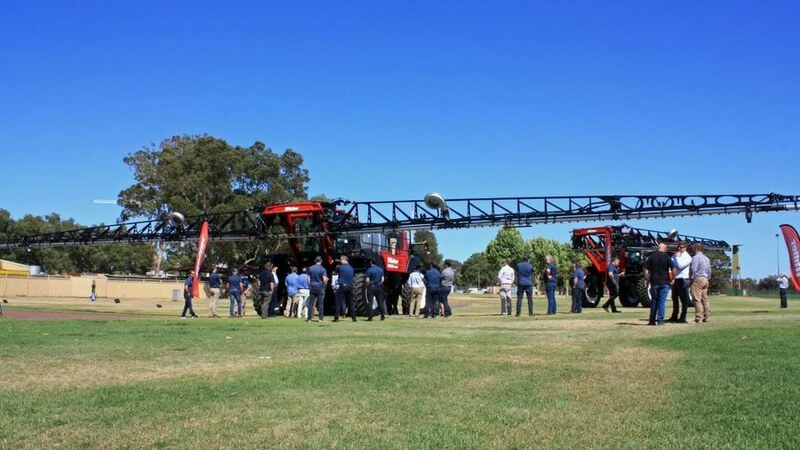 Other features include 6100 litre tank and a wide range of boom options, including the Miller Spray-Air system, available in booms up to 36 metres. Mr Bent said the new series is fitted with a hydrostatic Danfoss pump system, amongst a host of other new features. “The auto rinse and fill function is the perfect example of how the 7000 Series has been designed to maximise productivity for the operator,” he said. Mr Bent said another improvement was the cabin design, which now had better panoramic visibility and increased monitoring features. “This includes two chassis and spraying monitoring screens, maximising ease of use without obstructing visibility,” he said. Mr Bent said the company will carry out a stock-run out on the Miller 6000 Series. 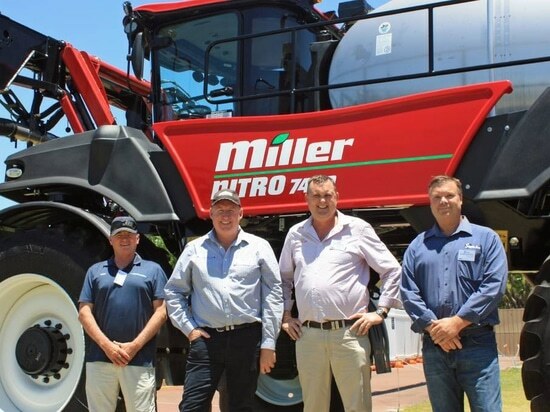 Terry Clarke, McIntosh and Son Sales Dalby; Scott Jameson, Miller Sales NSW and QLD; Ross Cheshire, McDonald Murphy Bundaberg; and Adam Cropper, Sprayerbarn Dubbo NSW with the new Miller Nitro 7000 series.